Oh I'm a comedy genius. This title is ridiculous haha! Thinking of titles are probably the only thing I dislike about blogging! But I couldn't have a post without a title! 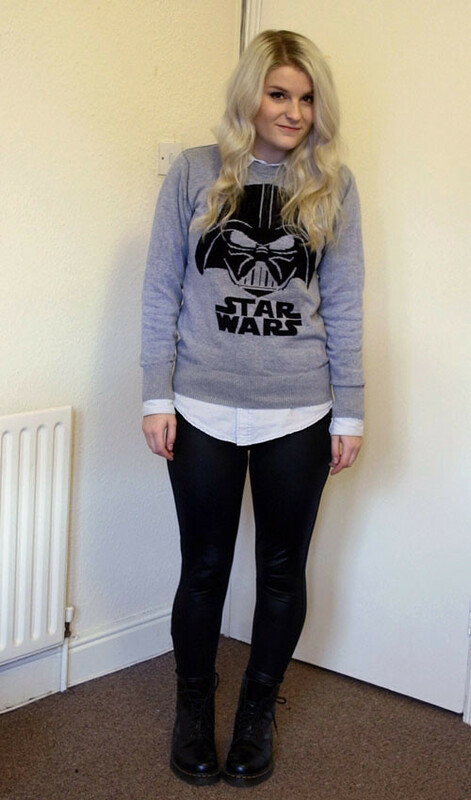 How brilliant is this jumper?! I got it about 2 years ago from the boys section in H&M. Me and my boyfriend spotted it on a mannequin in a 14-15 year old size and I had to have it! My disco pant dupes are starting to get baggy, sad times. I think it's time for a new pair. I have had them a year and I've worn them a lot, so I'll let them off. I hope you're all having a good weekend - I'm off to watch Skyfall today and although I've heard mixed reviews I'm really looking forward to it, maybe that's got something to do with the popcorn too though... It'll be nice to sit in a warm cinema too! Ohh love that fur! Looks so warm! haha love the title and the jumper. Love the fur coat. Can't wait to see skyfall either but like you said it has been mixed reviews from people I know who have seen it. i watched skyfall last night! it's sooooooo goood!!! enjoy!! Loooove your jumper! 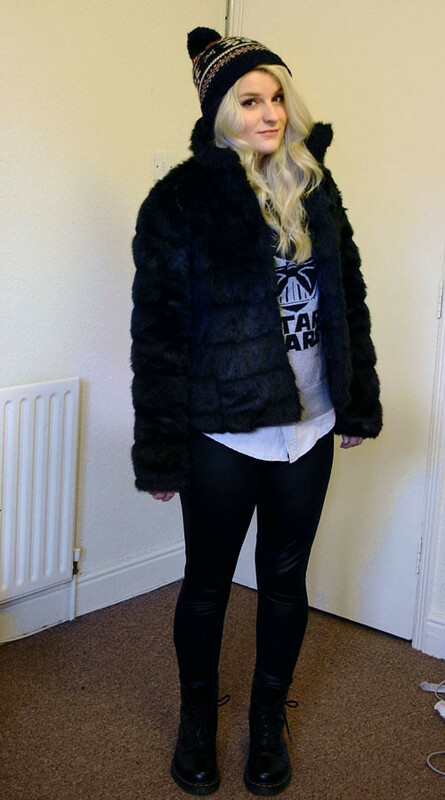 I had a Star Wars t-shirt a couple of years ago (from H&M as well actually) that I wore to death before I lost it :( Convinced one of my flatmates at Uni nicked it just to stop me from wearing it! you know I like it too much. Hahaha I love the title and your whole outfit! So cute! Of course! I'm hoping to bleach my roots later so I'll try to take some snaps of how I tone it after :)!